In this post, i will share with you a poorly discussed anti-debug trick that i may be the first one to discover or disclose. Now let's start with a quick introduction. 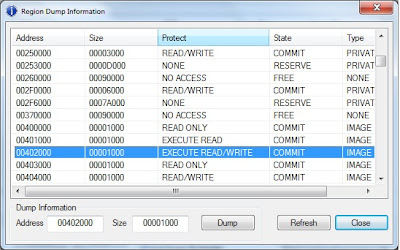 If a memory page with the "PAGE_EXECUTE_READWRITE" access protection attributes is requested from the OS, then a page with the "PAGE_EXECUTE_WRITECOPY" attributes, not the "PAGE_EXECUTE_READWRITE" attributes is given. The reason for that behavior is so simple, that is, the OS memory manager wants to physically share the page between all the process instances (since it is guaranteed to be the same in all the process instances before any write). 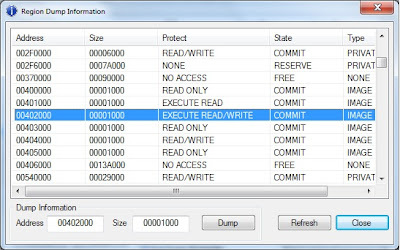 Once you make the first write to the new page, the OS assigns a private copy of the page to the process in which the write occurrs and the page attributes change to PAGE_EXECUTE_READWRITE. N.B. The same applies to pages requested with the PAGE_READWRITE attributes. 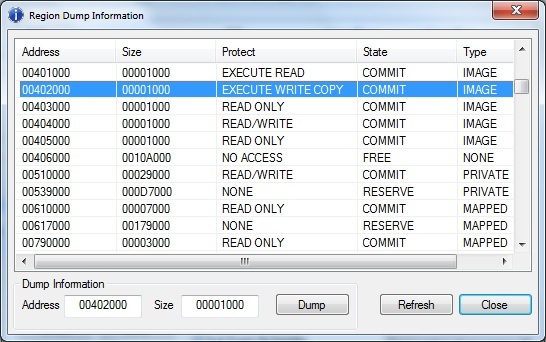 They are initially given the "PAGE_WRITECOPY" attributes and after the first write, they turn into PAGE_READWRITE. N.B. 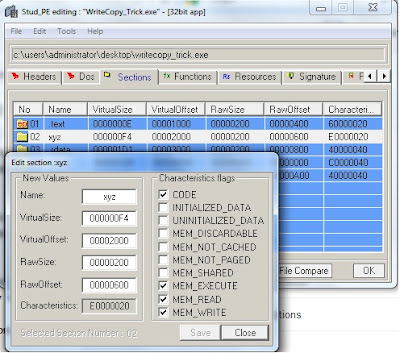 PAGE_EXECUTE_WRITECOPY and PAGE_WRITECOPY are not valid parameters to the "VirtualAlloc" or "VirtualAllocEx" function. Now if you have a section in your executable with the read, write, and execute access attributes (See section xyz in the image below), then the abovementioned applies to it. 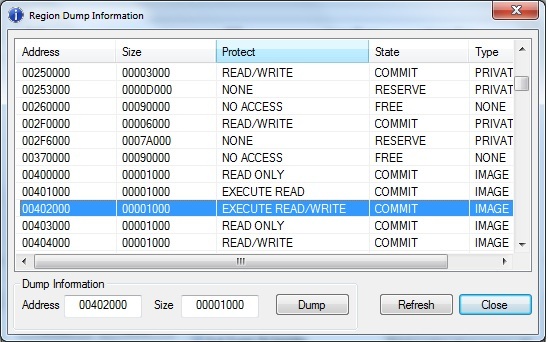 The access protection attributes given to section xyz causes its memory page to be mapped with the "PAGE_EXECUTE_WRITECOPY" attributes. See image below. If we design section xyz in a way that it is never written to (e.g. does not contain self-modifying code) throughout the whole lifetime of the process, then the page will always be PAGE_EXECUTE_WRITECOPY even at process exit. If the attributes change to PAGE_EXECUTE_READWRITE, that means the page must have been written to e.g. 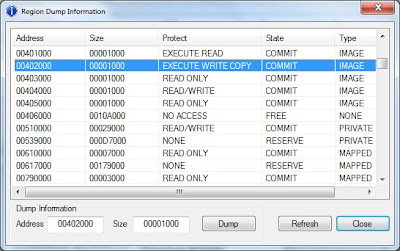 when another process, mostly a debugger, had called the "WriteProcessMemory" function while stepping-over, tracing-over, or placing software breakpoints. That definitely means the process is being debugged. See images below. Now our executable of question can call the "VirtualQuery" function to check the page protection attributes of section xyz. 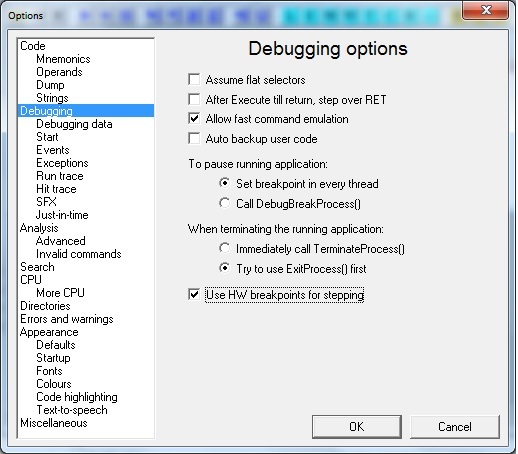 If it is something other than PAGE_EXECUTE_WRITECOPY, then a debugger is present and the process should quit. The good thing about this trick is that, unlike the 0xCC-scanning trick, it can detect software breakpoints even if there are no longer active (removed by the debugger). 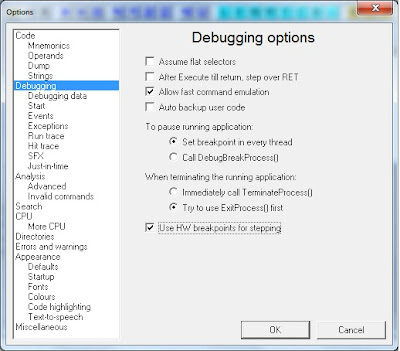 Also, most debuggers in their default settings are used to place software breakpoints on modules' entry points, which means the page protection attributes change even before the reverse engineer starts to debug the module. A common way to bypass this trick for stepping-over and tracing-over is to use hardware breakpoints which is an available option in OllyDbg v1.10 and OllyDbg v2.01 (alpha 4). A simple demo can be found here and its source code from here. In this post i will share with you a couple of small tricks that can be deployed to harden or defeat memory dumping attempts. As i have just mentioned they are small tricks, so don't flame at me. The first trick briefly involves appending a special section header to the section table of your executable. The new section header is to be set with a huge virtual size. Don't worry, this is not going to affect the file size (on disk) since we can set the raw size of the new section to zero (completely virtual section). This results in the the "SizeOfImage" field of the IMAGE_OPTIONAL_HEADER structure being huge as well. 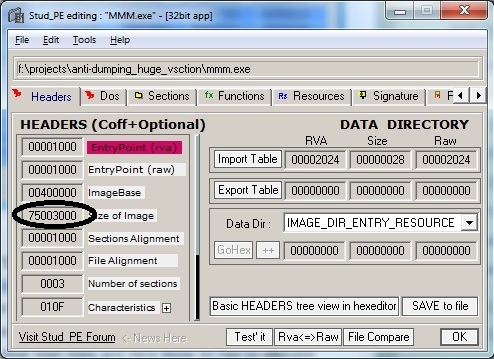 Unlike old anti-dumping tricks, we don't have to forge the "SizeOfImage" field of PEB.LoaderData or that in the PE Header memory page. 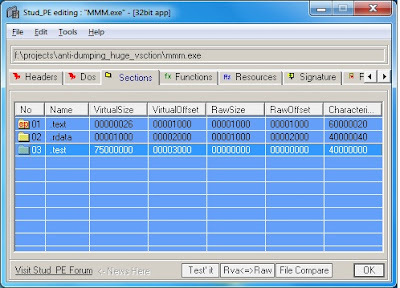 Here, we give the dumping tools a huge value that they are very likely to fail to allocate using e.g. the "VirtualAlloc" function or its likes. 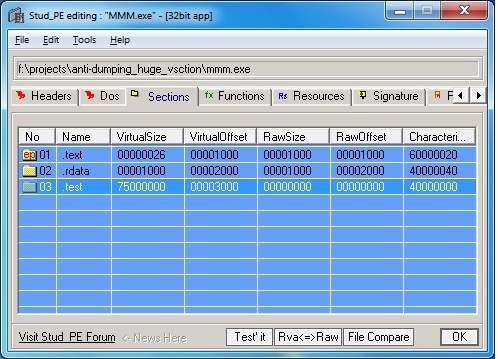 Of course, this trick does not defeat dumping tools that read the memory of processes page by page. Since the raw size of this huge section is zero, then the new section will be zero-initialized and the OS memory manager will throw it away making the memory usage of such process as smooth as possible. It is now obvious that the new section should be left as it is. Your code should never read, write, or execute it. As any attempt to e.g. write to it results in the OS memory manager restoring the whole section into memory. The second trick was first mentioned by Kris Kaspersky. The trick is very nice and simple. If we set the memory protection of one section as PAGE_GUARD, then the "ReadProcessMemory" function will fail usually with the system error code ERROR_PARTIAL_COPY, 0x12B. To defeat this trick, dumping tools are now using the "VirtualProtectEx" function to remove the PAGE_GUARD attribute, then read the section, and finally restore the PAGE_GUARD attribute. To enhance this trick, i have created a watching thread that infinitely calls the "VirtualQuery" function and once it detects that PAGE_GUARD is removed from the section's memory protection attributes, it just terminates the process. Here is the code and here is a demo. N.B. For the second trick to be effective, you should place the sections you want to protect after the PAGE_GUARD section so that the process terminates before them being dumped. N.B. The second trick theoretically has better chances to work on multi-processor systems than on single-processor ones.